Although the recent op-ed in Railway Age, “Brightline Goes Virginal. What Next?” provided a good perspective and concerns on Branson buying a position into Brightline, rather than getting into “the weeds where the goats graze” of the what ifs, we need to focus on the big-picture possibilities. To clarify, we should not be alarmed that Fortress/Brightline sought external financial investment to share risks, as this is routine in the transportation industry, evidenced by Lufthansa investing in Brussels Airlines, Austrian Airlines, SWISS, and Germanwings. Branson’s own Virgin Atlantic agreed to a 49% investment by Delta, and sold Virgin America to Alaska. Despite offering superior service, both deals were predicated on the fact that these Virgin airlines had limited reach/frequency in the saturated U.S. domestic market, and the New York-London market. 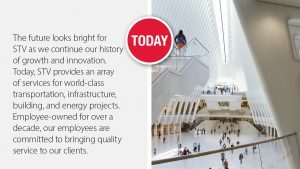 Educated and experienced in advertising/marketing, my sense is that the Virgin brand is far more recognizable, acceptable and powerful than that of Brightline, particularly as it inevitably expands nationally. As far as the potential efficacy of Hyperloop, we cannot stop solving our ground transportation issues pending the arrival of Hyperloop, perhaps in conjunction with Elon Musk’s flight to Mars. Indeed, we should take a note from history, when President Truman killed construction of the United States-class aircraft carriers, assured in the immediate post-WWII period that there would be no need for such a navy, given the bombers and atomic bombs of the Air Force. That philosophy changed overnight with Korea, where we experienceds the results of lost land airbases and a reduced ability to project naval air power. However, before we get too excited about the potential introduction of Virgin, it is critically incumbent upon us to reference our great strategist from World War II, General George Catlett Marshall, who appreciated the concept of incrementalism and applying those forces across successive multiple parallels. For passenger rail, this means to recognize that as much as we want to “throw the bums out,” we have nobody currently to replace Amtrak’s leadership and operation. 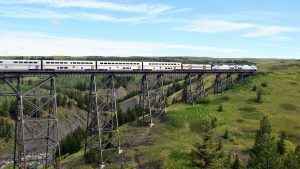 By now, we should have learned from the vague promises of the 1970 Railpax legislation that created Amtrak; how the multiple surgical strikes by Amtrak to eliminate long-distance routes in 1979, 1993 and 1996 failed to reduce costs, but did cut into revenues; how the Amtrak Reform Council, re-constituted after the initial group of highly regarded politicos walked upon learning of the political fix by President George W. Bush, came up empty-handed toward implementing any meaningful change in Amtrak; how the politicalization of Amtrak’s Board was initiated when it turned on a very competent CEO, David Gunn, which led to a succession of totally failed senior leadership producing “glide paths toward self-sufficiency, a diner-less Silver Star, demands for state payments for the Southwest Chief, not collecting payments from commuter lines over the Northeast Corridor until ordered by Congress; how funding for the National Network has been purloined; and how PRIIA was used to tamp down state interests while sequestering payments to shore-up the NEC. With respect to General Marshall—and the above facts—we must acknowledge we currently lack in our corner the requisite expertise to operate corridor and long-distance trains. I realize that the private operators for commuter rail are chomping at the bit, but only Transit America is actually operating an element of an intercity corridor, for CTrail linking New Haven, Hartford and Springfield. And we cannot be remiss to embrace any alleged operator lacking the vetted credentials to provide a service, including by lacking hands-on operational expertise, financial heft for start-up and working capital costs, available equipment and a working relationship with Amtrak and the Class I’s. For the non-existent and underserved state-supported corridors caught in a hammerlock by Amtrak—America’s version of Russia’s Gazprom monopoly choking the Eastern European countries with total control over their gas markets—this link-up of Virgin and Brightline promises to introduce a competitive alternative to Amtrak through a vigorous free-market approach. 1) Initially, Virgin Trains USA will identify and prioritize the “low-hanging fruit” left by Amtrak over the decades by failing to understand how competent marketing correctly identifies and fulfills mobility needs. Indeed, this comprehension has been explicitly encapsulated as Brightline’s successful formula identifying its niche in corridors too far to drive and to close to fly. 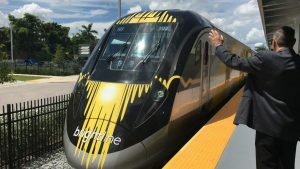 Serving the entire spine of Florida has proven Brightline’s competency to appreciate building a niche between Miami-Orlando, and eventually, Tampa, offering a viable alternative to the gridlock of I-95 and the cost of air travel. Certainly, the next viable corridor to be developed will be Las Vegas-Victorville, with continuation eventually to Los Angeles; perhaps even as initially envisioned down the California coast to Anaheim and San Diego in conjunction with LOSSAN. Unlike Amtrak’s unrealistic, strident monopolist position refusing to acknowledge the un-reimbursed-cost passenger trains imposed on the Class I’s interfering with the velocity and track capacity of freight service, Virgin Trains USA will come to the negotiating table with Union Pacific and BNSF as a for-profit private enterprise appreciating the market value of track access and dispatching. 2) Beyond the well-managed California JPAs, there are numerous potential corridors devoid of passenger rail throughout the Midwest and Southeast. Certainly, we are familiar with the most egregiously deserted corridors, including: Cincinnati-Dayton-Columbus-Cleveland; Chicago-Cleveland-Akron/Youngstown-Pittsburgh; Chicago-Indianapolis-Cincinnati/Louisville; Chicago-Milwaukee-Madison/Green Bay; Chicago-Sarnia-Toronto; and Atlanta-Charlotte-Raleigh-Washington. On an interesting note, De Paul University’s Chaddick Institute in Chicago, primarily studying bus travel, identified several of the above-mentioned cities clamoring for rail access. Phoenix is one major city that also stands out in dire need of rail connections offering higher speed to Las Vegas and Los Angeles. Despite the numerous opportunities to pursue the undeveloped corridors, there is a limit to available funds to secure the plethora of situations to be nurtured by a real passenger rail-focused format. Certainly this also includes a vision to overcome Amtrak’s snail approach toward real estate development triggered by 21st century depot development, just as achieved in Hong Kong and Japan. For example, how long has Chicago Union Station, Penn Station New York and Philadelphia’s 30th Street Station, etc. languished with no acceptable plan—and funding? 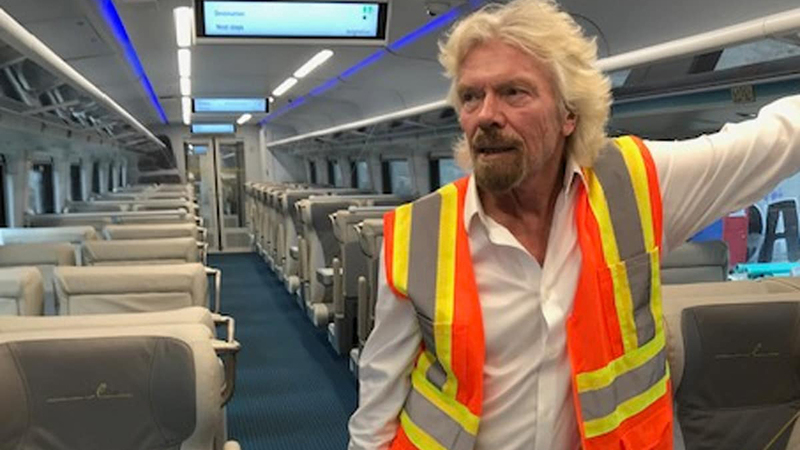 3) Although filling in the corridor gaps created by Amtrak, the really exciting aspect of this relationship between Brightline and Virgin portends a future that goes far beyond filling in Amtrak’s missed opportunities in creating new corridors while fulfilling current corridor demands. Instead, after Virgin Trains USA validates its concept of customer experience by providing the desired level of product, service and schedule, I predict we will witness states, as well as the feds, requesting Virgin Trains USA to provide a competitive alternative to Amtrak utilizing “open access” on important corridors. First up should be the Chicago-St. Paul corridor, begging for a second service (“Baby Builder”), but stymied by Amtrak’s lukewarm interest (no equipment); the states’ lack of funds; needless federal/state environmental issues that have no basis, given prior frequencies; and Canadian Pacific’s demand for at least $95 million to add capacity to its infrastructure. In this corridor, Virgin Trains USA would be perfect to fill in the current gap, as well as compete head-on with Amtrak. As well, the resurrection of the Chicago-Quad Cities route, and current demand for Des Moines-Chicago service, would be well-served by Virgin. Of course, realistically what will be required in conjunction with many potential Virgin corridors will be a P3 funding program to improve rail infrastructure—in many cases, adding a main line track dedicated to passenger service to alleviate interference with freight. Interestingly, in Virgin Trains USA LLC’s preliminary prospectus, Virgin fully intends to compete on current Amtrak corridors as identified in “U.S. Expanded Corridors.” Virgin also views Dallas-Houston as a potential competitive corridor with Texas Central Railway. 4) Success in filling the gaps created by Amtrak across the nation for ignoring or minimally serving state-supported corridors, as well as to compete head-on with Amtrak in current corridors, leads us to the eventuality that Virgin Trains USA could very likely assume providing the Northeast Corridor with an appropriate level of scheduled passenger rail services and asset utilization, far beyond Amtrak’s blindness towards its maximized Philadelphia-New York-New Haven regional commuter zones. Just when I thought state treasuries would need to insert RFID (Radio-Frequency Identification) tags on the bundles of their non-GAAP cost allocation payments to Amtrak for their state-supported corridors to confirm how those dollars are transferred by Amtrak to subsidize its “profitable” NEC (“profitable,” at least according to Pravda), along comes Sir Richard Branson and the proven expertise of his Virgin Group to energize Brightline, prepared to offer a competitive force in passenger railroading. Frankly, as we see how the stars are now converging in such a favorable alignment, my sense is that by Amtrak’s 50th anniversary in 2021, Virgin Trains USA will be well on its way toward filling Amtrak’s gaps; competing with Amtrak on current corridors; and preparing to enter the national stage as a viable alternative to Amtrak’s despondent malaise, costly flying from regional into hub airports, and time-consuming driving. 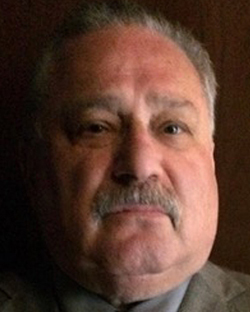 M. E. Singer is an observer and commentator on the passenger rail industry, identifying shortfalls and growth opportunities. 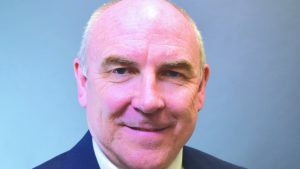 He is currently Principal at Marketing Rail Ltd. in Chicago, a consultancy to achieve passenger rail customer experience and product branding. Singer has prior corporate experience in turnaround operations management, marketing, and mergers and acquisitions in the health care field.